A while ago I got into conversation with an academic editor called Helen Stevens (@HelenSaltEdit) on Twitter. I’d been posting photos of Saltaire – the village where we live in Yorkshire – and we found we had a lot in common. We decided to meet IRL (or “in real life” – I’m down with the terminology :) ) and Helen suggested a local café. That’s when we discovered we have even more in common than we thought …we actually live on the same street! I could have leaned out of my window and called up the road. The wonders of Twitter! Last week Helen asked if I would give a talk to the northern branch of The Society for Editors and Proofreaders about my experience as an author on the receiving end of editing, and about how I began editing romance novels myself. Which leads me on to my news:- if you’ve followed my blog for a while you might have noticed (at least, I hope you’ve noticed!) that I’ve updated the design. Besides revamping the site, I’ve also made another major change. 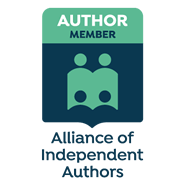 I have a page listing my books, but now I’ve added another page listing my services as an editor of romance and women’s fiction. So, last Friday I put on my editor’s hat to meet up with members of the SfEP in the lovely Café in to the Opera on the top floor of Salt’s Mill in Saltaire. Here I gave a short talk about having my own books edited, and how I got into editing. 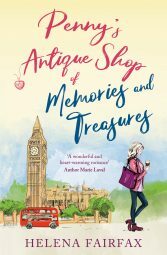 I wrote my first novel after joining the Romantic Novelists’ Association New Writers’ Scheme. Writers who join the scheme are invited to submit a manuscript for appraisal by an experienced author. This was my first experience of “developmental editing”. I received a six-page critique of my story. My reader’s main piece of advice was to strengthen the romantic conflict that is essential in a romance novel. She also outlined other areas where she felt the story could be improved, in particular the hero’s motivation. I duly rewrote my book, following my reader’s advice, and the next time I submitted the manuscript I was told it was now ready for submission to a publisher. Hooray! publishing industry and I had absolutely no idea what was to follow. In retrospect I was very lucky with my first publisher. I was told my book would go through two rounds of edits. The first round would concentrate on areas such as repetition, style, consistency, etc. Once I’d made any necessary revisions, the second round would be a final proofread. After being with this Canadian publisher, I then had my next novel published by a publisher here in the UK. My experience with their editing wasn’t so good. I’m quite a meticulous writer . One of the things I get praised for – even as agents are rejecting my book :) – is that my copy is very “clean”. It was really upsetting, then, to find that my book was released with errors in it, and that I had no control over recalling and redoing the files. Busy editors perhaps don’t realise just how precious a manuscript is to the author. It took me an entire year to write that book, and it’s heart-breaking to know that it has been released into the hands of readers with mistakes in that could easily have been rectified. Through having my own manuscripts edited I’ve learned an enormous amount about what makes a really good romance novel. My experiences on the receiving end of editing were an excellent starting-point for getting into editing myself. Over the five years since my first book was accepted I’ve made many friends and joined several author groups. (Writers – and romance authors in particular – are renowned for the support they show one another and the generous way they share information.) It was through one of these groups that I became part of an anthology of short stories. This was my very first experience of editing another author’s work. Each of us in the anthology sent her story to two of the others, and in this way each story had two editors. My edits must have been helpful because the author who was organising the collection began to ask me to edit more and more of the stories, to help make decisions on which stories should be accepted, and eventually to proofread the entire collection. I was surprised by just how much I enjoyed this process. It’s a wonderful feeling to know that you have helped polish a story and made it the best it can possibly be. After this experience, one or two romance authors got in touch, offering to pay me to edit their stories, and I began to take on more and more work from writers wanting to self-publish. Last year I went to an event organised by the Society of Authors in Manchester. Here I listened to a talk given by Richard Sheehan (@RichardMSheehan), who is a member of the SfEP. Richard talked about how he’d got into editing after being made redundant from his job. He spent his redundancy money on some courses with the SfEP. Now he works full time as an editor, mainly of sci-fi and fantasy novels. I decided to follow in Richard’s footsteps. I’ve now taken three courses with the SfEP, on proofreading, copy-editing, and editing fiction. Not everyone can write, so it’s important to do a sample edit first. There are some writers whose manuscript just can’t be edited into shape, and even extensive rewriting just isn’t going to make the story publishable. Don’t make the mistake of committing to copy-edit an entire book until you’ve established whether it’s worth the time involved (to both parties). As a fiction editor, it’s best to stick to editing the genres you know. I read a lot of romance and women’s fiction – both because I love these genres, and so that I can stay abreast of trends in the market. I do love to read other genres, but I’m not as familiar with them. I mention this because I once edited a dystopian short story about zombies. About six months afterwards I read Warm Bodies, which is a dystopian novel about zombies. I realised the author whose work I’d edited had copied a lot of her ideas from this book. Because I read so much romance, and because I’m in the Romantic Novelists’ Association, I’m more aware of what books are coming out in this genre, and whether an idea is fresh or not. I find the best editing work comes from networking. Also, do the best job you can with every author, and your reputation will spread. I have to think very hard about what work I can take on. I have my own writing. No matter how tempting it is to accept every manuscript offered, it would be a mistake to take on too much and risk letting an author down over a deadline. I’m excited about taking this step into editing. When you collaborate with a writer you both have the same goal – to make the manuscript the best it can be. If you are a writer of romance and are looking for an editor, please do get in touch via my contact page. I’d love to discuss your novel with you. It was lovely to meet other members of the SfEP last week. I hope you enjoyed my post! If you’re a writer, what experiences have you had with editing – good, or bad? If you’re a fiction editor, what has your experience been working with authors? And if you’re a reader, do you notice when a book has been poorly edited? Does it make you put that book down, or are you able to ignore the errors and enjoy the story? Great talk (post), Helena. You are an inspiration in that you pursue your natural interests and they lead you to such wonderful places. I’ve found that writing has changed the way I read, although I’m not at all sure I would be a good editor. Best of luck to you! Thanks so much for your lovely comment, Ken. I’ve left it quite a long time before pursuing this path and I wish I’d had the confidence to do it sooner. But now I’m on the path I enjoy it very much! Writing has changed how I read, too, and also how I watch films and TV. I analyse the story much more than I used to. Thanks again for your comment, and for taking the time to drop in! First I couldn’t help but smile at you meeting Helen through Twitter although you both live in the same street! 😀😀 Small world indeed! Then you live in Saltaire – in wonderful West Yorkshire, I know it well and it has changed dramatically over the years. Congratulations on your new qualification and enjoy your extra job – keeping that balance with your own writing is so important! Saltaire has certainly changed dramatically. It’s wonderful the way the mill has been rescued and the efforts to preserve the village. It’s a lovely place to live these days. Thank you so much for your congratulations, and for your great comment! I seem to have an eye for spotting typos, as they jump off the page at me. Not that I’d ever wish to be an editor, mind you. I just enjoy reading good stories and reviewing books. Errors don’t spoil my enjoyment of a book, unless there are a lot of them. I would never mark a book down for a handful of typos. Thanks so much for dropping in, and for taking the time to comment. I appreciate it! Well done on getting your new business up and running, Helena – I wish you much success. I too usually notice errors without looking for them and proof-read husband’s letters etc. But I don’t always notice them when reading through my own work – quite different as we’re usually so close to it! 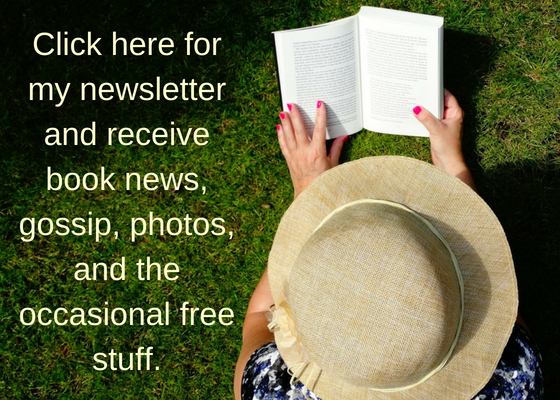 I’ll mention you in my next newsletter. The sort of thing I overlook in my own work is repetition. There are certain words and phrases that I repeat far too often, and yet I don’t notice it myself when I’m reading back over my work. A good editor is so helpful with this type of problem. Thanks so much for mentioning me in your next newsletter. I always look forward to your news, and it will be great to be a part of it! An excellent and very interesting blog. Thanks for the namecheck too. I’m very flattered, as well as delighted that I helped in some way. All the best for your editing and your writing. Thank you so much, Richard, and thanks for taking the time to drop in and comment. All the best! Chaplin Books was extremely good, but I gave the book its final working over before it went to the designer, and handed in a twenty-page report. Apparently, the designer went white when he saw it (that’s Asperger focus for you…), but there are very few errors in the final text. Hi James, you’re so right about being able to take the implicit criticism. I’ve never minded in the slightest when editors suggest ways my novel can be improved, or when they point out errors. I’m just focused on making the book to be the best it can be, and I’m really glad of their help to polish it. A good editor offers encouragement, too, and will highlight the bits in the book they thought worked well. I can imagine you were meticulous when it came to keeping your manuscript free of errors. Have you ever thought about going into proofreading? I think you would be excellent at the job. Thanks for dropping in, and for your great comment! Thank you so much for giving a talk to the SfEP group, and for writing this post! I enjoyed listening to your talk, and this has reminded me of some of the key points. I specialise in academic and non-fiction editing, so I find your insights fascinating. Hi Marsha, I’m so sorry you’re not getting my blog posts. I hope there aren’t lots of my followers with this problem. Have you tried your spam box? Perhaps my posts are going there. I will get in touch with WordPress support and see if they can help. That’s a really good question about juggling editing and writing. It’s one I asked myself before I put my details out there. Like I said in my post, I will have to think hard before accepting a manuscript. I’m very conscientious and I absolutely hate to let people down. If it came to it, I would put editing someone else’s book first before my own writing. Thanks for offering to put my details in your newsletter. I really appreciate it! And thanks for dropping in and finding me!